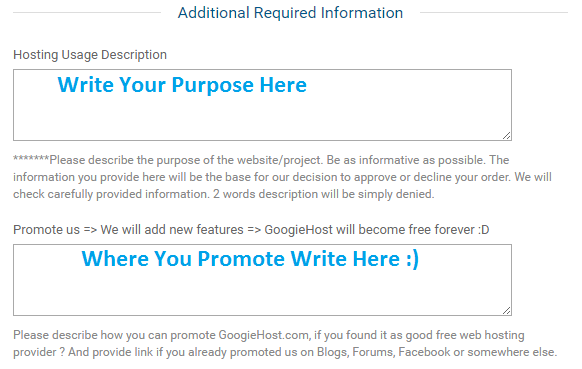 Today Many users find hosting which is Reliable, Easy, Long Time Period and Also have good Extra Features So, Today I found a site which gives independent hosting plus extra features and also there is not require any credit card or debit card for sign up just you need to sign up and get free hosting for Lifetime.GoogieHost is offering you to a great chance to get 100% aweigh hosting it’s not only for 1 month, but it’s for Lifetimes. Register now and grab this offer It’s absolutely free. Step 1: Click Here to Visit Offer Page. Step 2: Select Free Hosting. 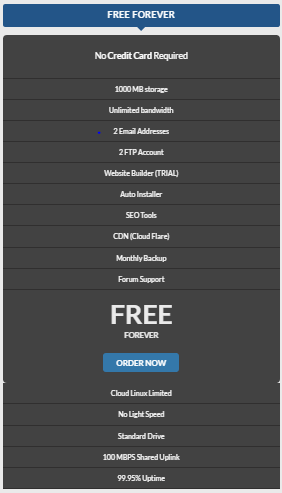 Step 3: Select “Free Forever Plan” & Click on Order Now. Step 4: Choose Your Domain or Register with Subdomains and Configure It. Step 5: Fill Up The Additional Required Information. Step 6: Review and Checkout. Step 7:Fill The Signup Form and Complete Order. Step 8: Verify Your Email ID. Step 9: Wait for Activation After Activated You can use your hosting. Step 10: Wooohoo!! You are All Done. 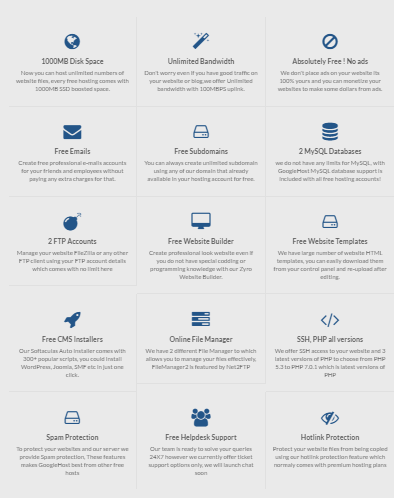 GoogieHost offer ultimate free hosting services packed with our most popular cPanel to manage your files, along with our free Website builder, Webmail, SSD boosted, Attracta SEO Tools, Fast MySQL Databases and Much more unique things.